Garden design questions come through regularly from my contacts page. Many people have similar concerns. Being unsure of how to bring the design together, or feeling frustrated and overwhelmed with tackling general maintenance and renovations, are common themes, so I've decided to look at a few basic ideas. This is a very rewarding part of my job, not only helping those embarking on larger projects on a grander, whole garden design scale, but also for those who feel really overwhelmed by the idea of doing anything in their garden, and can only manage a bit at a time. 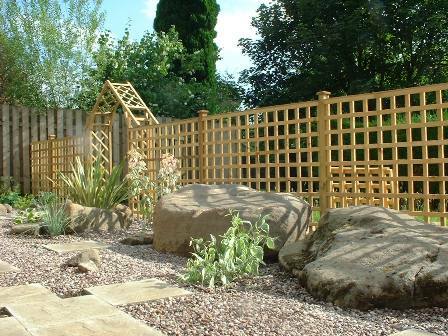 I remember talking to a client when I first started designing and building gardens. She said she went through the tidying process, only to have to start again when she'd finished. She had no time to enjoy the garden! Not a good situation to be in. This crops up so often with clients. They sometimes feel as if circumstances are holding them back from having the garden of their dreams. The feeling of despair can, indeed, be demoralising, but taking things a step at a time, an area at a time, can work wonders, not only for our morale, but for the garden as well! Small and steady can, in fact, win the day. It's just knowing how to approach the 'situation' effectively. Weeds, rubble, overgrown shrubs and trees, slugs - we all know what it can be like to even think about tackling some of these things. We are going to take a look at how to keep up motivation and build the beautiful gardens we deserve. We all want fantastic gardens in which to relax and unwind, especially when we're faced with difficult times in our lives. But often, this can elude us, not only because we sometimes can't see the wood for the trees, but also because finances won't allow. Here, I give advice on how to prioritise steps in the garden design, get the work done, and create a beautiful garden makeover to be proud of! I am a former carer who has recently returned to my much neglected house and garden after 4 years of looking after my mum and sister. I need help to come up with a plan to help restore my garden which is now overgrown. I started to dig out old raised beds but then had no time to finish this task. I have some ideas but would like some advice on how to achieve these. I don't have any real DIY skills but willing to put in the labour. Sometimes gardens just need a bit of time and care spent on them, with a little tweaking in certain areas. Other times they need to be started from scratch, even if the garden design makeover is done a bit at a time. Take the garden below, for instance, which was a whole garden makeover, but could have easily been done in stages. 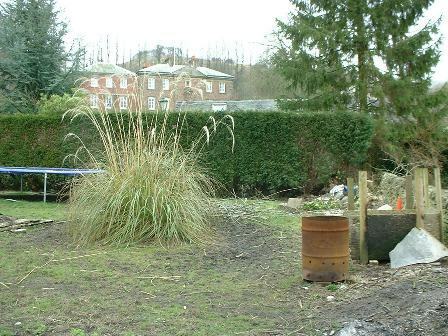 Here are 'Before' and 'After' pictures of the pond area. The pond could have been a much simpler affair, or not a pond at all, but some other focal point. 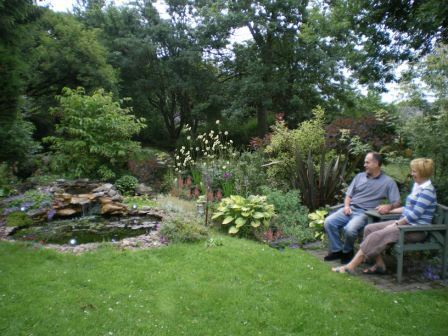 A lovely border with shrubs and perennials, a love seat on its own patio and what a transformation. Getting back to Theresa's question. You sound as if you have had a very busy time of it. Restoring your garden would probably give you the boost you need, I expect. It sounds as if you have been doing a fantastic job. Just a few questions about your garden. Do you want to restore it yourself? 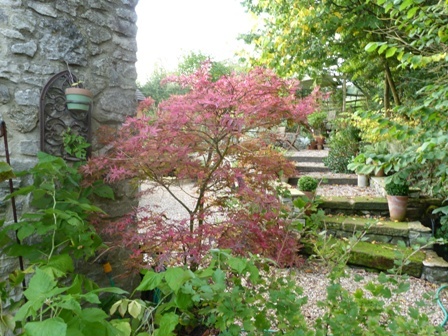 Was it OK for you before you became a carer or do you want to change it either structurally or in terms of the planting? Is it a big or small garden? Are there any really stubborn weeds that need clearing or trees and shrubs that need pruning?" Let's take a look at how we can get started. First of all, it is worth spending a little bit of time thinking! Let's take the visualisation first. Even if you have to sit on your doorstep amidst weeds and rubble, just sit for a while with a cup of tea or glass of wine, maybe close you eyes, and think of what you would like to see in front of you. Don't let anything stand in the way of your vision - especially money, time or technical ability! This is your ideal garden and, over time, can often be achieved. Give the vision a chance. Do you want curves, winding paths and cottage garden planting, or would you like to go 'Modern Contemporary'? Just go with the flow for a while and enjoy it. Then begin to ask yourself questions like how will you bring height to the garden? 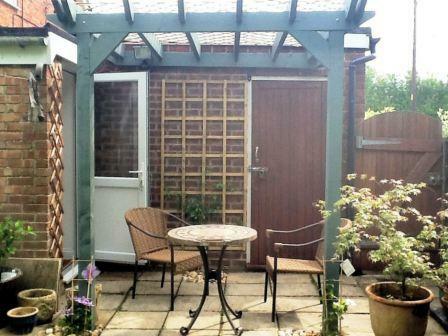 A pergola, arch, summerhouse, gazebo, or trellis on which to grow climbers? Raised beds and trellis can be a very affordable way to section off parts of the garden, add height and provide an attractive display for climbing plants. A small self-contained water features, a pond, patio, carport, lawned area with straight or curved sides, a children's area, an adults' area! If you find it difficult to imagine, start looking through magazines and on the internet to find ideas. ...and more importantly than that, links to access either information or products easily. That was the whole intention when I started pergolaplans4free.co.uk - to help people build the gardens they dreamed of, with as much information as possible at their fingertips. Start to think about the materials you would like to use - grass, paving decking, slate, wooden or metal pergolas and arches, gravel, rocks. 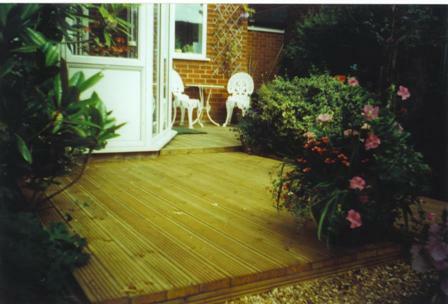 For example, on the 'Lay A Patio' page, there is a link to an excellent company providing all sorts of paving and edging. But more than that, it is a great source of inspiration. As is the online plants company website I use. There is a wealth of information on many hundreds of plants - their height, spread, care and plant combinations - a free online resource for plants. Use it as you will! 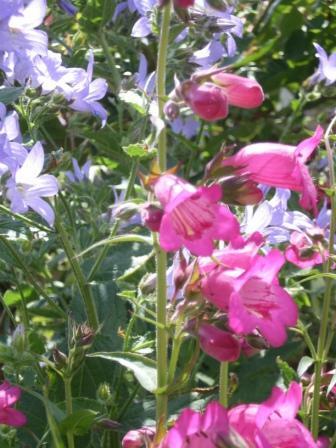 There are some fabulous plants to choose from. 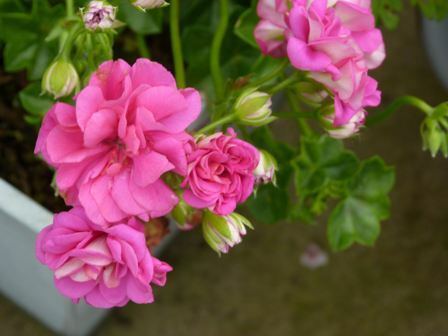 You can learn about climbing plants and other stunning garden plants to use in your garden. Do a little exploring. It will pay dividends. 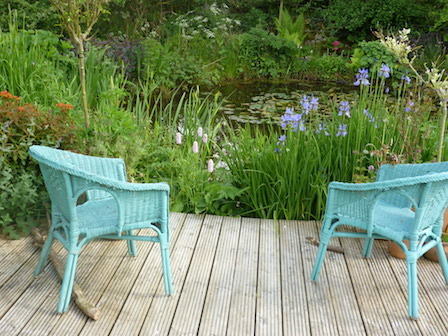 Then begin to consider seating areas positioning, sunlight, shade, planting type and styles. Remember - in your mind - the world is your oyster! Your vision can be as simple or complex as you like, but try to make it work practically as well as imaginatively. You can find ideas and advice to help with this. Make the most of this exciting time at this stage. Once you have a good idea of the layout of you garden and what features you would like it to contain, you can either make a plan on paper or, indeed, in 3D, but, if you are not comfortable doing this, you can simply mark areas out on the ground itself with chalk, string, spray paint, a board for straight lines or a hose pipe for curved. Whatever you have at hand. And don't throw anything away that you might be able to recycle - even rubble can be used to fill in a raised patio before concreting, saving time and money. I've known so many people who have had work done in their gardens only to have the top soil taken away (and sold) and then have had to buy new inferior top soil themselves. Guard your top soil with your life if it is anything like reasonable! Sometimes, we can discover useful materials and objects in the course of a renovation. These huge feature stones looked like pebbles in the grass on first inspection, but when the diggers came in we were all amazed at the size and beauty of these sculptural boulders. They were definitely going to be used in the garden design. And how beautiful they looked! 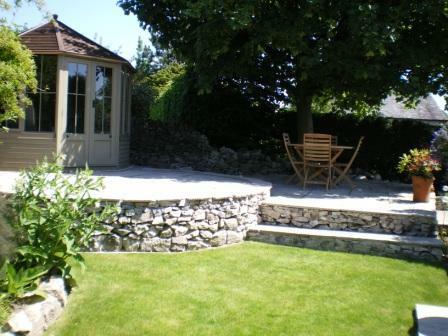 When I say project, the garden design can be anything from laying a lawn to a £75,000 full garden makeover. It really doesn't matter. Any garden design project needs a little thought and will benefit from a few goals. The basis is still the same. Going back to Theresa's garden, we have several options to tackling overgrown gardens. This is what I suggested to her. 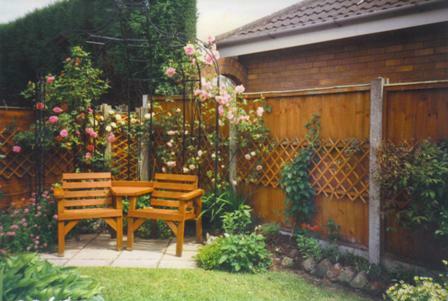 * If you have the general garden design in mind, do it yourself in small stages. You might tackle just one of the raised beds to begin with. Keep the tasks small, so that you have a good chance of achieving your goal and not getting overwhelmed. Even if it takes much more time overall, keep it manageable. Do as much as you can in the time you can allocate. You'll be amazed at what you can actually achieve on your own or with friends. Research, if needed, as you go along, e.g. how to plant herbs in raised beds. Then move on to the next mini-project. Researching what you're going to put in the raised beds, alongside the actual digging, can provide the motivation to move forward. * At the other end of the spectrum, achieve your garden design all in one go by using a garden designer and landscaper, if you can afford it. This can prove quite costly, however. * If you struggle with the garden design part of the project, you might employ a designer to design it for you and then do the work yourself. I charge around £600 for planning, just to give you an idea, but I'm sure there will be many designers who will charge considerably more. Shop around. * Ask friends to help. It not only makes the job much quicker, but it is a wonderful social activity. Cook a meal that you can enjoy afterwards, or even provide a take-away if you can't cook!, Make it fun for everyone. They'll love the camaraderie and the results. They will be talking about it for years to come! * Work out what you can do yourself and what you need either professional or voluntary help with. This can really help to keep costs where they are absolutely needed. Breaking tasks down into manageable goals is vital, but you will be amazed at how quickly things begin to look so much better. For example, Theresa is digging over her raised beds. She doesn't have much time, but is getting on amazingly well. She is already beginning to consider other areas of the garden design as she is completing this goal. Here is the next part of her story. This is in response to my reply. Bless you for caring. I live in Herefordshire. I took your advice and cleared a bit at a time. So far I have dug out half to three quarters of the raised bed. I have recycled some of the slate which covers most of the area to my neighbours daughter as I hate waste. I was making good progress and feeling quite pleased but then despite taking precautions got bitten 3 times and am allergic to insect bites so couldn't walk and was on antibiotics. I'm better again now so I need to finish digging out and to decide on what I will do next. I'm thinking of getting someone to lay a patio in the corner of the garden and of having some paving and raised containers but I'm tired of straight lines and was studying how to create curves to make the beds more interesting but I also need to reduce my digging chores so need to make sure I'm not setting myself up to fail. There we go - Theresa has recycled her slate. That's a big step forward! I replied to her saying, amongst other things that, "Curves are calming in a garden and, in actual fact, don't need to take very much digging to achieve, at all. I can understand why you'd want them." Curves on the edge of lawns and borders are very easy to make. Use string to form the curve and then cut the edge with an edging tool or a spade. This could transform a garden very easily and quickly - and it isn't very difficult in terms of time and energy. Just dig out a bit at a time and complete over a week (or whatever time you set yourself). With curves on a lawn, it's always good to set out the curve, as a whole, before you start. Landscapers can, of course, build patios with curves, as part of the overall garden design, or, if you have a bit of muscle, you might lay a patio circle yourself. When you are doing project like this, especially if you are working on your own, it is important to focus on finishing one physical task at a time. You can begin planning other ideas, and even making arrangements - say, for the patio to be laid - but, for action steps, concentrate on the current goal. We may have setbacks - something crops up at work (or we get bitten, like Theresa), but things will get back on track once we get out there again. Nourish the soil (it will probably need this before planting again). Decide on whether to grow vegetables, plants or herbs in your raised bed. Look up how to grow your chosen plant. Go to a garden centre or DIY store to buy compost, manure, and feed, if needed. Go to the garden centre or store to buy the plants if you didn't already do this when conditioning the soil. Number 8. is very important! Always give yourself time to admire your handy work before moving on to the next stage. It will give you a sense of achievement and boost your motivation for the next mini project. Here is a raised bed with herbs, and also one painted white with beautiful trailing geraniums, showing them off beautifully. 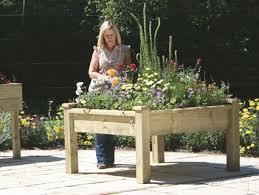 You can find my free plans for creating your own raised beds here, that can be made with any size or thickness of wood, with or without fins. These are certainly very useful in a garden. Pre-made, manufactured raised beds can also be used. They come with or without legs and in various shapes, sizes and designs. Mini projects, for some, are the only way to go - for whatever reason. Nevertheless it is a very effective way of making a wonderful garden. One of the best things, for me, about work of this kind is the fact that garden makeovers change lives, even in small areas. Getting someone going and not feeling so overwhelmed is so good to see. Many of the gardens I have either helped with, or advised on, are small projects just like this simple love seat, gazebo and climbing rose combination below. And to think that within two days it was transformed from a serious pile of rubble into a lovely seating area! Keep goals small so that they are achievable! If you are not achieving what you would like, break the goal into even smaller tasks. For example, instead of trying to dig over the whole raised bed, split it into four sections - or eight, if that's all your time and energy allows. Even if it takes a month, split it into manageable bits. You'll be surprised at how it all comes together. Share your ideas and success stories. People love to see others achieve great things, whatever the size of the project. Tips and tricks are great to share, as are any funny stories. Tell us your feelings about your finished project, the process itself and how it changed your life - or just made you feel better. We want to know all about it. A really great way of sharing your successful projects and ideas is by having your own place on a web page on pergolaplans4free.co.uk. It's really easy to do, and is great if you have some pictures. Would you like to tell others of your achievements; the pride you feel, and the story behind what you created. I'll let you know of any developments with Theresa garden design project. It will be interesting! We wish her all the best. Take joy in visualising your finished garden and then just work towards it. And remember, you have the freedom to think anything you like. No one can stop you, after all. Visualise your most magnificent garden design - and you'll be well on your way!